Farm-fresh and bursting with flavor, our corn on the cob gets a little "kick" from hot sauce, garlic and seasonings. Add a burst of spicy deliciousness to one of our summertime favorites, farm-fresh corn on the cob. Golden yellow, juicy and packed with mouth-watering flavor, this dish is a perfect addition to your weekend barbecue, served alongside our favorite Southern fried chicken, or dished up with meaty Cuban sandwiches. 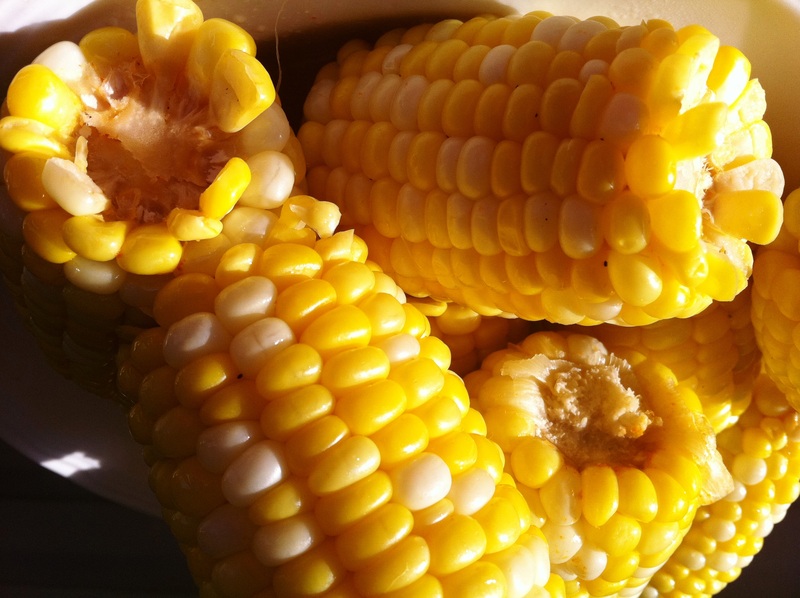 Cut each shucked ear of corn into 2-inch pieces and place in a pot just large enough to fit corn snugly. Add enough water to cover the corn. Add the salt, black pepper, hot sauce, butter and garlic. Bring to a boil over high heat, cover, and reduce the heat to medium-low. Simmer for 30 minutes. Check periodically to make sure the water level remains the same. Add more water as needed. Rotate the corn in the pot for even cooking. That sounds great. Do you have a favorite hot sauce? I have three favorites that I cook with: Tabasco Sauce, Frank’s RedHot Hot Cayenne Pepper Sauce and Cholula Hot Sauce. All will work here, so play with the recipe and use your favorite.